Mumbai: Hrithik Roshan's 'Super 30' has been the talk of the town ever since the announcement of the film. Sharing a glimpse of the shoot on Thursday night, Hrithik has piqued the interest of the audience. His rugged look from the film has been breaking the internet every time a picture surfaces on social media. Sporting messy hair and a beard, Hrithik has perfectly slipped into the skin of the Patna-based teacher for his first-ever biopic. Sharing a behind-the-scene image from the sets, the star took to Instagram to give a glimpse of his look yet again creating excitement among the audience.He will be portraying the life of Anand Kumar in 'Super 30'. 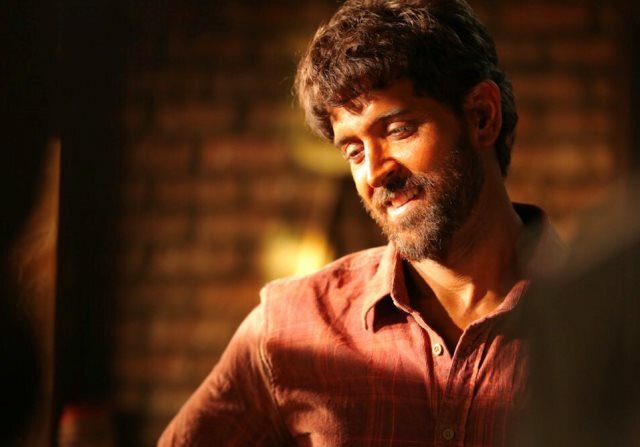 Based on Anand Kumar's educational programme Super 30, the film will showcase Hrithik in a never-seen-before avatar. 'Super 30' by mathematician Anand Kumar has been a revolutionary move on the educational front, the math genius trains 30 deserving, economically-backward students for IIT-JEE, the entrance exams of IIT, each year with commendable success rate. The actor will be seen portraying a North Indian (Bihari) role for the first time and the fans are more than excited to witness the unusual character role from Hrithik.The actor has time and again surprised audience and critics alike with his versatile portrayal of varied roles.